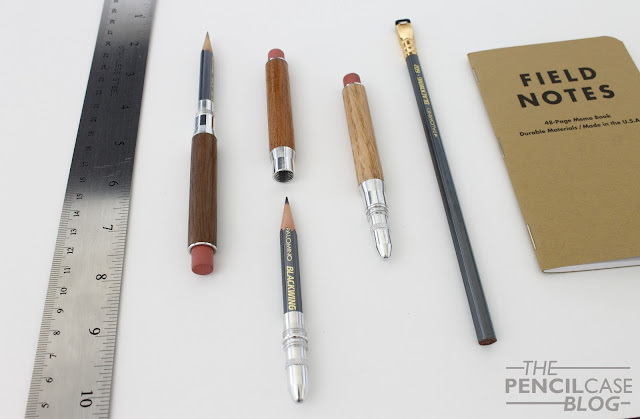 Pencils are nice, but it can be so annoying to see your favourite pencil transform into a useless stub. 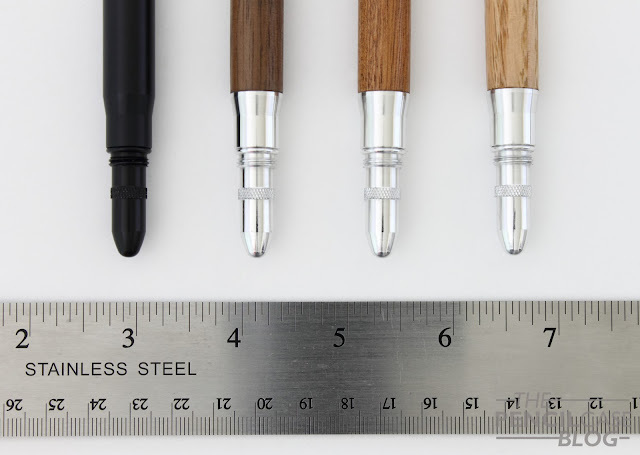 Last year I reviewed the Metalshop Twist bullet pencils (read the full review HERE), which has proven to be the ideal solution to this problem. But of course functionality isn't everything, a good design is almost as important. 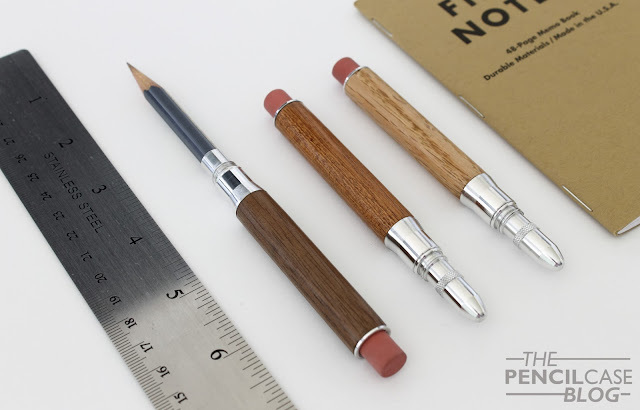 That's why Jon from Metalshop recently released the Timber Twist bullet pencils. 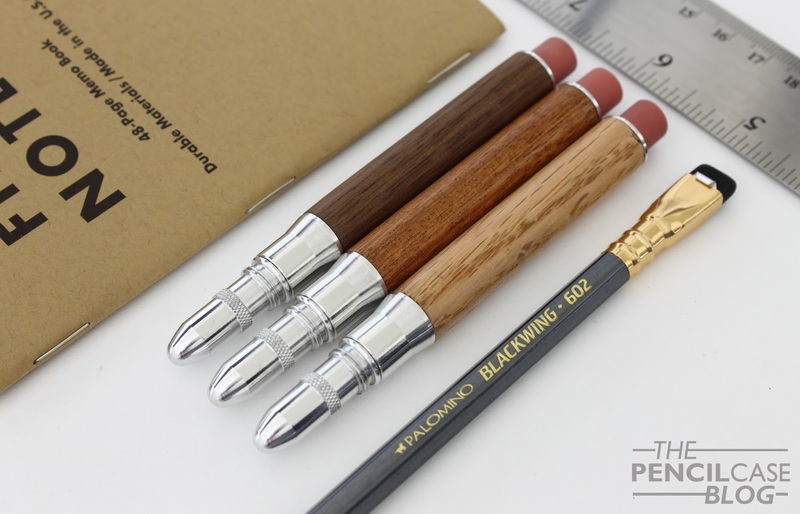 A new take on the bullet pencil with a wooden barrel and aluminium parts. 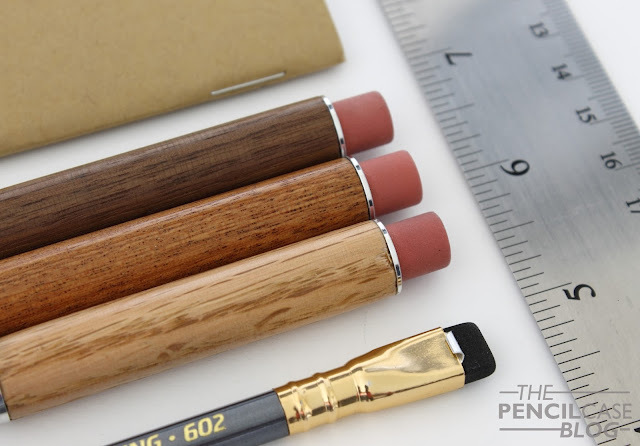 The Timber Twist is essentially identical to the Twist bullet pencil. Functionality, design and even even weight all remained almost unchanged. If you want to read more in depth on design, measurements and performance, you can head over to my review of the original Twist, the idea is still the same. The addition of the wooden section means that the pencil extender is now made from four parts: the bullet, a front section, a wooden barrel, and an aluminium top section. I was somewhat worried that this would mean a noticeable change in the weight and balance, but since the aluminium parts don't go all the way through the barrel, it remained pretty much exactly at the same weight. In terms of durability I guess the solid metal Twist is still the strongest, but the Timber Twist can definitely take a hit. The Timber comes in three wood types. The darkest is walnut, the warmer brown wood is Mahogany, and the lightest wood is red Oak. All wood types are polished, but the character and depth of the grain remains visible. The Timber twist is a more stylish take on the Twist bullet pencil, and steps away from the utilitarian -purely functional- design of the original, without losing any functionality. Of course, all parts are interchangeable, so you can still mix and match with different bullet materials and colors. I chose to leave them all in the aluminium finish because I like the sleek look of the shiny aluminium in combination with wood, but of course that choice is entirely up to you. 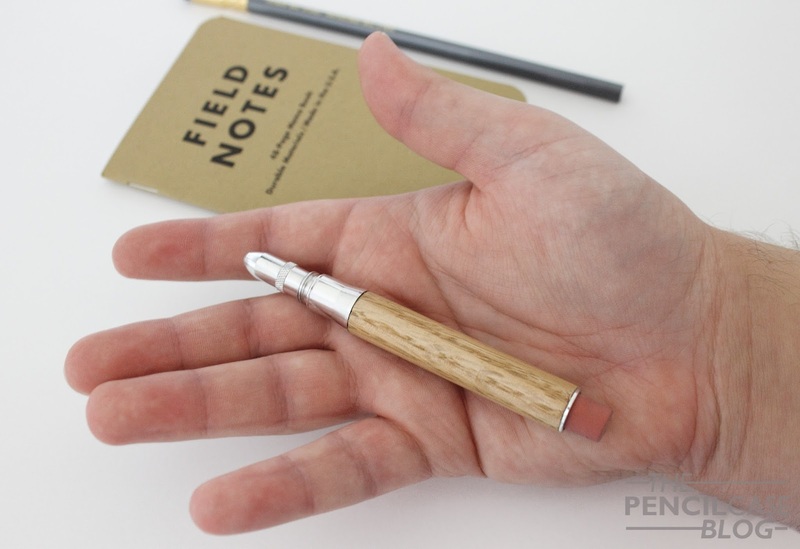 The Timber Twist is a welcome addition to the Twist bullet pencil offering from Metalshop. 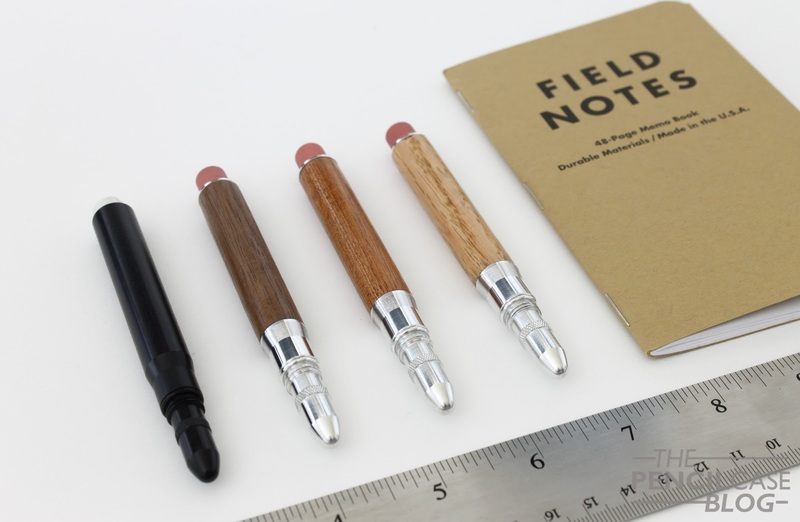 As I said it offers a bit more flair to your everyday carry, but with an equal amount of functionality. The Timber Twist bullet pencils start at 46 USD, which isn't cheap for a pencil 'accessory', but it'll give your pencil nubs a second life and it'll prove more useful than you'd think as part of an EDC. Note: This product was sent to me by Metalshop, free of charge, so I could write this review. I was in no way influenced in the making of this review, the opinions shared in this review are completely my own! This post does not contain affilate links.